Writing Reflection Essays: Tips. Maybe you have been asked before to write a reflection essay, except that you barely have an idea on how to make a good one. True enough, knowing is half the battle. But if you want to get better at it, there are ways to improve your paper. It may not be easy at first, but it will be worth it. Trust us. Continue reading if you would like to know more about our tips on writing reflection essays. First, remember important points with what you are reflecting on. Keep in mind the things that stood out for you. For example, take note of the scenes in the movie that captured your attention. Jot down the parts of an article, book chapter, or novel that you find most compelling. Or identify the character in a story or stanza in a poem that you think is the most interesting of all. In any one of those instances, pay attention to that one outstanding feature. 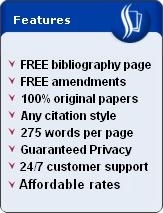 Use it as the focus of your paper. Another tip in writing a reflection essay is to use a theory as framework in sharing your thoughts about your paper's focus. In other words, use that theory as a guide in interpreting the reasons why you find your topic interesting or worth writing about. For example, you may use Maslow's Hierarchy of Needs in explaining why the action of a movie character is either unwise or prudent. Any theory may be used. Still, do not rely too much on the theory you have chosen. Depend more on your own thoughts. Use your chosen theoretical framework simply as a guide. In writing a reflection essay, you may also relate your topic with your personal experience. This should be easy. For example, if you are writing about a compelling behavior of a character in a movie, write how the character's behavior relates with the behavior of a friend or a relative, or perhaps even your own behavior. If you are writing about a line from a song or a stanza from a poem, tell your readers a past experience that illustrates the line or stanza. Be specific,honest, and straight to the point with your comparison. In any case, remember to connect your topic with your personal experience. Ultimately, what you will reflect on in your paper will depend on your thoughts. Mull things over before you start with your paper. Think things through more than once. 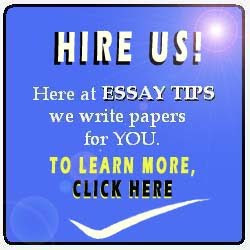 If you are still having problems in writing your reflection essay, contact us. Send us an email. We may be able to help you. Writing essays are our expertise. Go to the links in the header section at the top of our website.